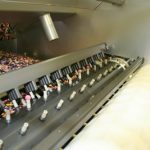 HBM – Hottinger Baldwin Messtechnik GmbH (France) – Able to handle all requirements – The FIT7A as the basis of a new checkweigher for the food industry. 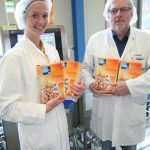 Developing a checkweigher that is able to meet all the requirements of food production was Jean Marc Dumont’s goal. An expert in machinery for the food industry, he founded Fine-Spect together with Pierre Mosca, Managing Director of MCPI, for that very purpose. MCPI specializes in dosing machines and has been working together with HBM for quite a while. 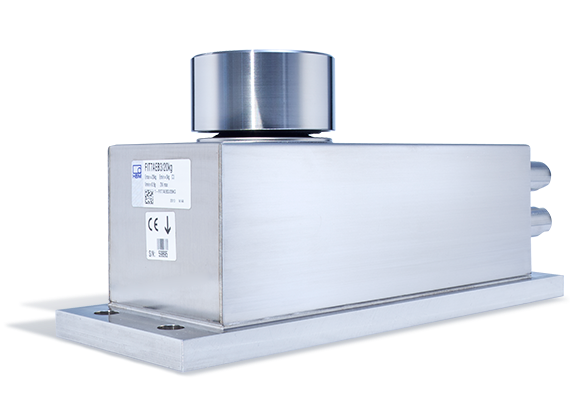 The core element of the new checkweigher is the strain gauge-based FIT7A digital load cell from HBM. Every component of the checkweigher from Fine-Spect must meet the requirements of food production, such as being completely covered with foam or cleaned by a powerful stream of water. With an equipment protection level of IP66 and its watertight, hygienic plugs, the FIT7A offers ideal preconditions for these requirements. Fine-Spect chose the HBM load cell in part because of its high availability, precision and speed. 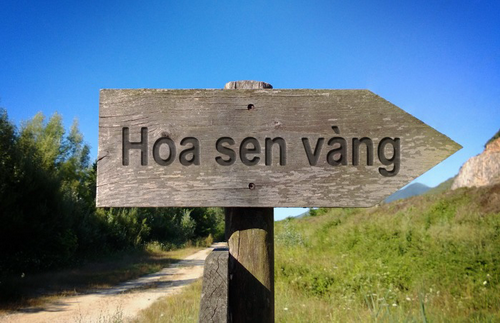 FIT7A features extensive signal processing functions with different trigger measurements. The notch filters eliminate interference from the motor and belt conveyor. The load cell also communicates with the PLC via CANopen so that the checkweigher is able to display measured values, statistics and analysis on a touchscreen. That provides important results and insight into how to optimize the production process and minimize rejects. The Fine-Spect checkweigher is made entirely of stainless steel and can be used for every production line. 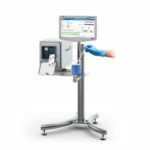 It weighs up to 120 products per minute with FIT7A, achieving a measurement repeatability of 0.2 g for amounts from 70 to 700 g. Extended functions make it possible to create a production report that includes all important features. Fine-Spect also offers analog outputs, which means it can provide feedback to upstream points in the production line. This makes it possible to control production in real time, thereby increasing process accuracy and preventing costly overfilling from the start. 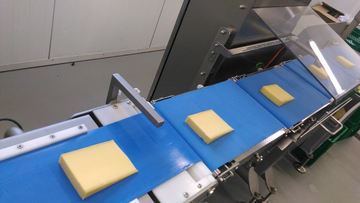 The number of products that are too light, which the checkweigher will have to reject later, is also reduced. 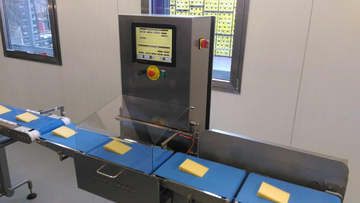 The checkweigher has been in use in a French cheese making company since the CFIA trade fair in Lyon. But the new checkweigher also holds promise for applications in other industries as well. It will soon be providing support in the automotive industry with precise weighing of blanks for sintering. 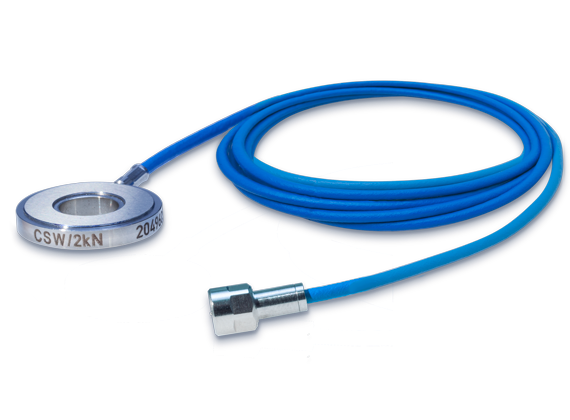 For more information about the FIT7A Load Cell from HBM click here.